Casey Cox is still on the run, fleeing prosecution for a murder she didn’t commit. Dylan Roberts—her most relentless pursuer—is still on her trail, but his secret emails insist that he knows the truth and wants to help her. He’s let her escape before when he had her in his grasp, but trust doesn’t come easily. As Casey works to collect evidence about the real murderers, she stumbles on another unbearable injustice: an abused child and a suicidal man who’s also been falsely accused. Casey risks her own safety to right this wrong and protect the little girl from her tormenters. But doing so is risky and just may result in her capture—and if she’s captured, she has no doubt she’ll be murdered before she ever steps foot in a jail. In this riveting sequel to the USA Today bestseller If I Run, evil lurks, drawing Casey out of the shadows . . . but there is light shining in the darkness. Is Dylan a provision from the God who loves her, or another heartache yet to happen? In If I'm Found, the engaging follow-up to If I Run, Casey Cox is still on the run. The law is getting ever closer to catching up with her, but she and the private investigator hired to find her are closer to unveiling the truth about her tormentors. Terri Blackstock once again pulls readers into Casey's story with a compelling plot of suspense and quest for vindication. If you thought If I Run was intense, wait until you dive into If I'm Found. Casey finds herself in yet another situation where a young life is at stake and she's compelled to help. I admire Casey for being the heroine who would put the life of a child in danger above her own safety. Her distress when she meets a struggling family shows that she would help anyone in more need. However, there's a lot more at stake this time. Keegan and Rollins are getting desperate to find Casey before she can reveal their crimes, so they've become more aggressive in their pursuit. Dylan Roberts, on the other hand, is determined to uncover enough proof of Casey's innocence before they get to her. While collecting enough evidence to bring Brent Pace's true murderer to justice is slow going, there's enough time for Dylan and Casey to forge a simmering connection. Though they have no time to establish a relationship in this novel, they are still the very definition of sweetness. Casey has to trust someone to help her and Dylan perfectly fits the bill. As a man with faith he shows Casey what it's like to have true faith and reassures her that they will see a way through this situation. If I'm Found shows Casey at her most vulnerable and at the point where she's quickly losing all hope. Readers will be rooting for Casey the whole way as she narrowly avoids capture and defeat. 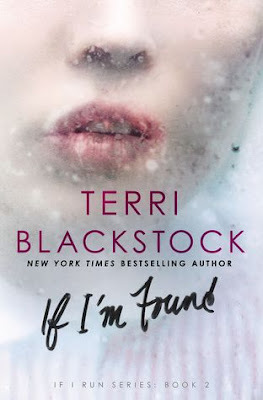 Terri Blackstock continues to engage readers with an emotional plot with enough twists and turns to please any suspense lover!